The Qwillery is thrilled to share with you an excerpt from Amanda Bouchet's debut novel - A Promise of Fire. And don't forget to enter the giveaway below to win a copy from Sourcebooks Casablanca! A Promise of Fire, the first in the Kingmaker Chronicles series. To celebrate, we’re giving you the first FIVE chapters to read FOR FREE! Download the first five chapters here. Want more? Download the first FIVE chapters here. 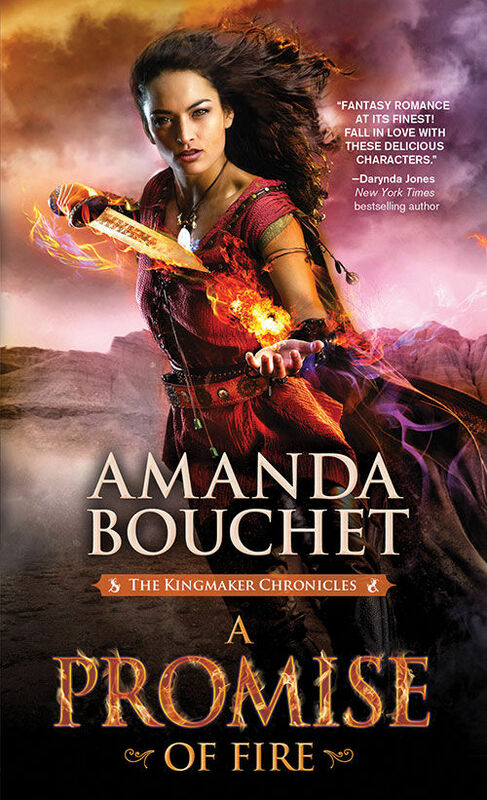 Click here to learn more about A Promise of Fire by Amanda Bouchet.